Google Docs is my choice by far for a web-based office suite. You can create documents, spreadsheets, or presentations. Once created, these items can be shared with a group, accessed by password, worked on jointly wiki-style, collaborate in real-time, and commented on Facebook-style. 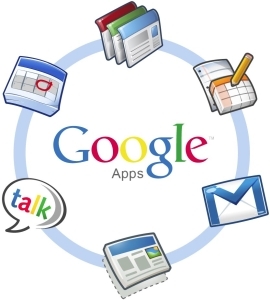 Google Docs may not have the full functionality of PC-based suites like Microsoft Office or the free OpenOffice, but its being entirely web-based is a huge plus. Many libraries use Google Docs with their patrons because it offers them a way to both complete and then save their work without the need of any hardware or storage device. Librarians should become proficient in its use to answer the operational questions posed by their public-access computer user patrons. The Google suite of productivity has the further advantage of being streamlined. The lack of complicated options make it easier for the inexperienced computer users who often rely on the public library for their computing needs. In school libraries, Google Drive offers a storage solution for students who want to work on assignments on campus and at home with the convenience of cloud storage. Tags: 23 things, Bokash, Facebook, Google, Google Docs, librarian, libraries, Library, Library and Information Science, Microsoft Office, Office suite, Web application. Bookmark the permalink.